Your Roofing System is built to protect your home and family from the elements. To ensure that your roof is able to do its job properly for many years to come, it makes good sense to maintain and care for it. Dearborn Roofing Contractor Terry Burke of NorthWest Construction offers a few helpful suggestions for the proper care and maintenance of your roof. Since 2003 NorthWest Construction has specialized in all aspects of roofing, including shingles, repairs, storm damage and more. Prior to opening his own company Terry Burke worked in many areas of the roofing industry and in total he has over 25 years of roofing experience and knowledge. Just to the right you’ll find a few roof maintenance tips from Terry to help protect your roof. Look for Missing or Loose Shingles. Look for Water Spots on your ceiling. Examine your roof every Spring and Fall. Have your roof professional inspected every 3 – 5 years. If you need to replace a damaged shingle, note that it is easier to remove a shingle that is cool. If the shingle you need to replace is not in the shade, you can cool it down with cold water. After cooling, use a metal pry bar between the shingles to separate them. The sealant should snap or pop loose. Remove the nails from the shingle you are replacing, as well as from the shingle above it (since these nails go through the shingle you are replacing also).Replace the damaged or missing shingles with new shingles of matching color, following the manufacturer’s application instructions. Hand-seal these shingles, since the sealant may not re-seal after being broken. When hip or ridge shingles blow off, they can leave your roof system open to water or snow infiltration. This can allow moisture to infiltrate and potentially enter your attic or rot your roof deck. Replacing hip or ridge cap shingles requires removing any damaged pieces that may have been left over. You may have to remove or loosen any shingles in the proximity of the blown-off shingle to allow you to re-fasten a new hip or ridge cap shingle. Always be sure to select a new hip or ridge shingle that matches your existing ones, both in color and thickness. Install the new piece, making sure it fully covers any existing ridge vent or other field shingles with the proper length fasteners. Utilize any asphalt cement as directed by the manufacturer’s application instructions. Replacing hip or ridge shingles requires working on some of the highest parts of your roof—the hips and ridges. Always utilize proper safety equipment to prevent falls or injury when replacing hip or ridge shingles on your roof. See our Safety section for more details. Deciding on the proper vent and the amount of ventilation needed is critical. Always consult your local building code for balanced attic ventilation requirements in your area. Not following these requirements may lead to an inefficient system or even weather infiltration. Once you decide on the type of vent that is needed and how much to install, always ensure you install the vent as per written application instructions. Be careful not to cut any attic rafters or wires, and always ensure to properly fasten the vent to prevent blow-off or weather infiltration.Replacing ridge vents requires working on some of the highest parts of your roof—the ridges. Always utilize proper safety equipment to prevent falls or injury when replacing ridge vents on your roof. See our Safety section for more details. Diagnosing A LeakTo find a leak source, you need to know what water is likely to do. Water will always flow directly down with gravity. Obstructions, skylights and penetrations are the most common leak sources. Start by examining chimneys, skylights, and plumbing vents. Then inspect roof-to-wall transition areas where flashing takes the place of roofing, such as dormers, valleys, and eaves.Many times owners think they have leaks, when actually their roofs just do not have adequate ventilation. Look for algae stains on interior plywood, soaked insulation when it hasn’t rained, and black rings or rust around nails—the first sign that moisture is condensing in attic spaces.Always repair leaks promptly to avoid adverse effects, including mold growth. Not Feeling up to doing your own roof repair? 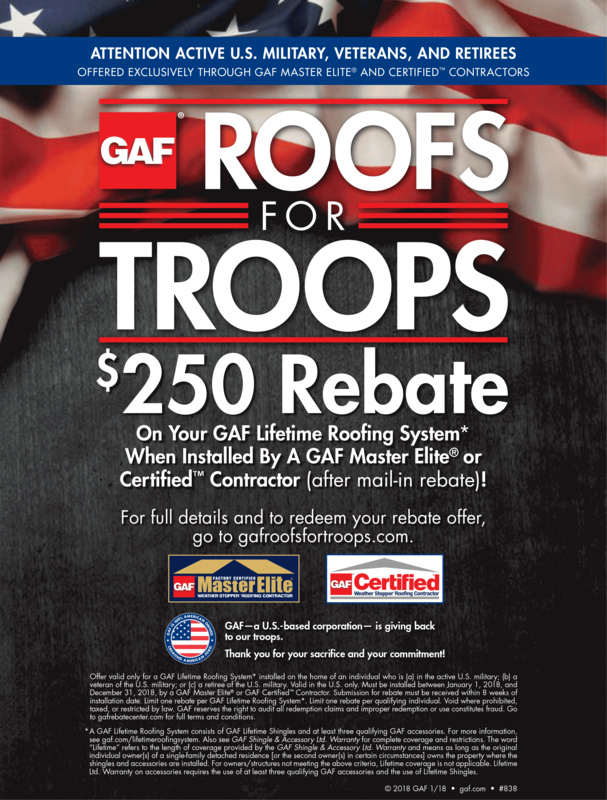 Turn to a GAF Certified Contractor. Don’t trust your biggest asset to just any contractor. Choosing a GAF Certified ™ Contractor is your assurance that you’ll be dealing with a quality, reputable, and dependable professional contractor. Factory-certified Contractors are state licensed, adequately insured, have a proven reputation, and are committed to ongoing professional training. It’s why they are your best and safest choice! What separates Northwest construction from the competition? That’s our Slogan, and we put it on everything we do. It’s our mantra and our guiding principle. Your home is probably your biggest investment, and we want to help you protect that investment. We are fussy old guys who do things right. We don’t cut corners. If your home needs additional repairs, we’ll tell you. We take the time to explain why we feel that a particular repair is important. (Kind of the “Spend a little extra now, save a LOT later.”) We’re experienced and pride ourselves in our workmanship. We will treat you like family.